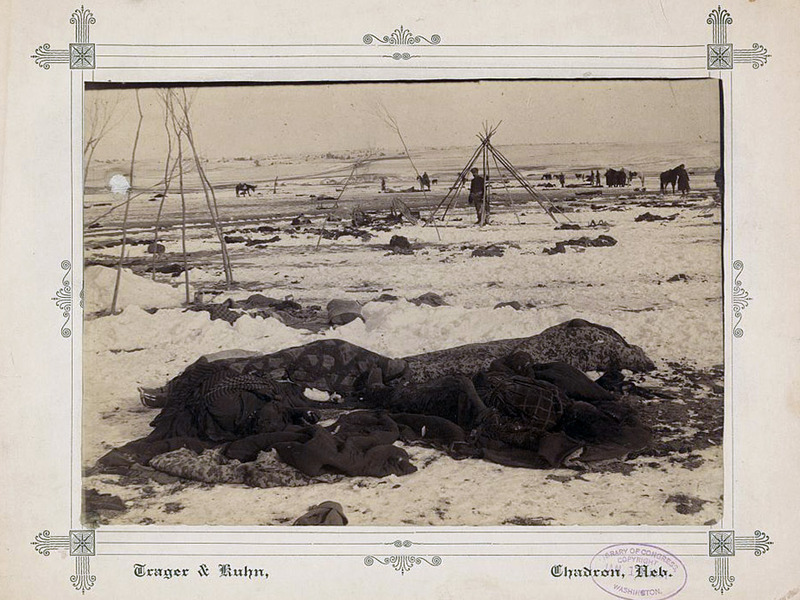 On the morning of December 29, 1890, U.S. Cavalry troops went into a Lakota camp near Wounded Knee Creek in South Dakota to disarm its inhabitants. What happened next is up for debate because there are differing accounts of how the shooting that became known as The Wounded Knee Massacre started. Regardless of how it began, when it was over the massacre left over 150 Lakota men, women, and children dead or dying in the snow. The incident was widely covered in the press, and crystallized ongoing debates about the treatment of Native Americans. However, both sides saw the incident as the end of “the Indian” period. There had been the Indian past, and now, the American future. 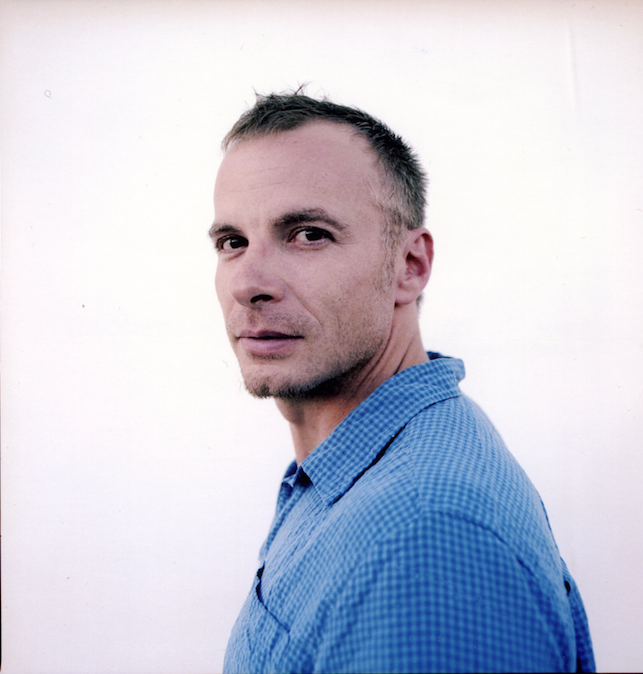 BackStory recently spoke with Treuer about the book. We discussed the idea of American progress, the real impact of the stories we tell about ourselves and others, and the universality of Native American existence and history in 21st century America. 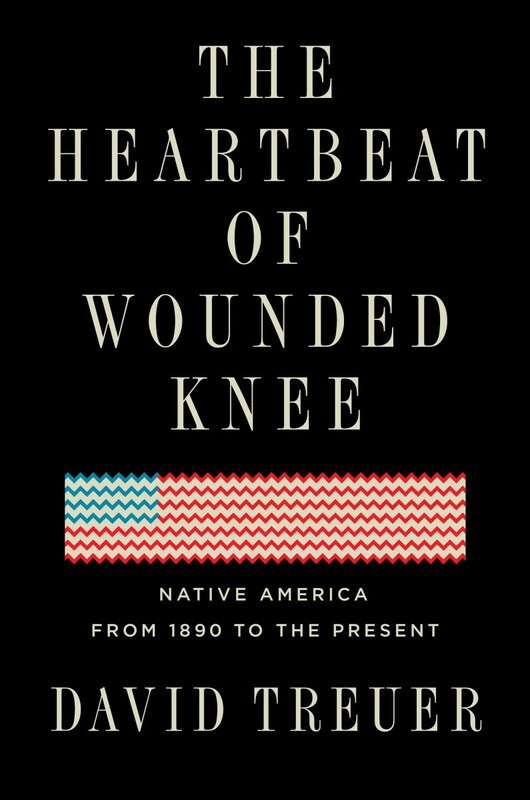 BackStory: You talk about the popular narrative around Wounded Knee, and how it supports the notion of an Indian past and an American present. How does your work challenge the notion of American progress? What is the place of Indians in this narrative? Treuer: Going back a long ways, America has defined itself in relation to its frontier. And that goes back to early acts of the Revolution, and goes up through and to Frederick Jackson Turner’s “Frontier Thesis,” which posited in the early 1890s that America can only be defined by its frontier, and by definition having one marks it as different from and stands it in contrast to, let’s say, European nations. And America has always understood itself as existing between the ravages of European tyranny, and the threats of uncivilized savagery beyond its borders, and as trying to expand between those two opposing and deadly forces inimical to America’s survival. So America has understood itself as a country of progress, and progress at the expense of, or in the face of, what is framed as savagery, and of course me and my people were then outside of the embrace of the Republic, and we were perceived as the constant threat to it. Even though that is hardly the case. And so, in any kind of narrative of progress is, in the American iteration of it, a narrative of conquest. And I think we need the current one if we really want to understand this country. 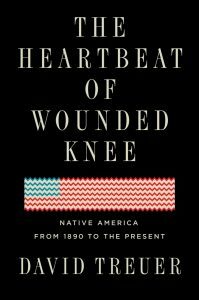 BackStory: Let’s talk about the narrative of Indian loss and tragedy that you discuss with regards to Wounded Knee. What are the ways that narrative has impacted or colored perceptions of Native American issues in the present day as well? Treuer: One of the main reasons why I wanted to write this book, and why I wanted to write it the way I did, was to lay aside the dominant way in with Native stories are told, which is in the tragic mode. I feel strongly, I’m too much of a literature professor, I’m too much of a writer, to feel otherwise, than to feel that the ways that we tell any story shaped the kind of stories that can be told. I feel very strongly that our words and our narratives shape the world, and so, if we tell the story of the past as a tragedy then I really feel quite strongly that the future will come to resemble it. And so, it’s incumbent upon me, and I think it’s incumbent upon all of us, to find not just different facts and figures, but to find a different way of telling the story of our experiences. Whether it’s in the Native context or some other one. If we want a different future, we’ve gotta tell a different story, and tell it a different way. And, that to me, is sort of fundamental. So for example, if the story we tell is just one of history, is what the American government has done for us, that kind of understanding and that kind of storytelling is going to shape how we understand the conflict at Standing Rock now. Or that we saw in 2015 and 2016 with the pipeline protest, and the water protectors, which was framed by the tribal chairman at Standing Rock, David Archambault II as, once again, more cowboys versus Indians. And so it had the same ending as that story. Not just because he told it that way, but because, you know if we understand the American Indian experience as one of loss and degradation, what do we expect is going to happen? Really, the story at Standing Rock, about that pipeline protest, is not a story in my mind about cowboys versus Indians, it’s a story of corporations versus the common good. What do you think would have happened if we had framed the protest in that way? Not as Indian Nature Lovers versus White Environmental Aggression. Let’s reframe the story as the needs of the community of the Midwest, which includes Native and Non-Native people against the inhuman depredations of companies that don’t give a damn about anything other than profit. BackStory: There’s a sense that the Native American experience – really the experience of all Indigenous Peoples – is universal. That’s not really recognized in a lot of common narratives, is it? Treuer: No. And I think that, you know, what I find very interesting is that, Native American communities, we’ve had a lot of challenges over the years. Lack of access to education, to capital. Lack of access to equal protection under the law. A sort of disregard for our civil rights and civil liberties. And our experience of all those things is rapidly becoming the experience of most Americans in relation to those things. It is increasingly difficult for all Americans to have access to health care, access to capital, access to education. It is increasingly difficult for all Americans to receive equal treatment under the law. If you think only, for example, to pluck something out of the air, the ways in which municipalities across the country fill their coffers at the expense of America’s poorest people by levying all sorts of unreasonable fines and fees, for parking and parking tickets. And, you know, you can buy your way out of jail time by paying a fine, if you don’t have the money then you have to serve time. And then you have a conviction, and you have all this other stuff, and that sort of necessarily recreates you as part of the expendable working class. So, should Americans pay attention to American Indian history? Absolutely, because guess what? America, in this age of the increasing wealth gap, is experiencing a gap between rights and opportunities. Most Americans are finding themselves in the position that American Indians have been in for centuries, and they should pay attention in order to try and change it.